The 2016 Dodge Dart is a compact sedan that packs a punch. The car market continues to trend toward smaller, more versatile compact vehicles and the 2016 Dart remains one of the bright spots in its segment. In today's industry drivers value fuel-efficient, high-performance cars that maximize on interior space while remaining sleek and small on the outside and the Dodge Dart delivers in all those areas. When you are ready to experience a different kind of sedan, stop by Greenville Chrysler to discover one of the premier Dodge dealerships in the entire area. We serve buyers in and around Rockwall, Commerce, Bonham, Paris, Sulphur Springs, and Tyler, so do not hesitate to stop by. We look forward to serving you. The 2016 Dodge Dart offers a bit of choice for those buyers who want to put something unique on the road. With three engine options beginning at the base level 2.0-liter four-cylinder engine capable of producing 160 horsepower and 148 pound-feet of torque on a six-speed manual or automatic transmission, performance will not be an issue in this compact sedan. The next version is equipped with a 1.4-liter four-cylinder engine with a six-speed manual or automated-clutch transmission, capable of producing 160 horsepower and 184 lb-ft of torque. The highest level engine comes in a 2.4-liter four-cylinder version that produces 184 horsepower and 174 lb-ft and sprints toward a 0-60 time in 8.4 seconds. All three options offer solid fuel efficiency ranging from 27 to 32 EPA-estimated mpg. The five-passenger Dart is available in five different trims: SE, SXT, Aero, GT, and Limited. The SE includes 16-inch wheels, full power amenities, fine cloth upholstery, folding rear seats and a four-speaker audio system with a CD player and audio jack to hook up a smartphone or MP3 player. The Aero trim adds in 16-inch aluminum wheels, a bright grille, LED taillights, resistance tires and a seven-inch review camera. The Aero also focuses on fuel efficiency and clocks in with an EPA estimated 32 mpg. At the highest trim level, the 2016 Dart Limited offers 17-inch wheels, an upgraded suspension, leather upholstery, a sunroof, and Xenon headlights among other things. Each trim is built with the craftsmanship that only Dodge can provide, and the automaker offers a version of the 2016 Dart that is right for everyone. The 2016 Dodge Dart is more than just a run-of-the-mill compact sedan. The vehicle aims to create an experience inside the cabin and turn driving into a reward rather than punishment. Even if you are sitting in traffic, the Dart comes equipped with advanced technology in its Uconnect system to incorporate smartphones with hands-free and Bluetooth® capabilities. When you are ready to discover the 2016 Dodge Dart and everything the compact sedan has to offer, visit us at Greenville Chrysler. Located at 5401 Interstate Highway 30, Greenville, TX 75402, our dealership continues to offer one of the best car-buying experiences in the area. 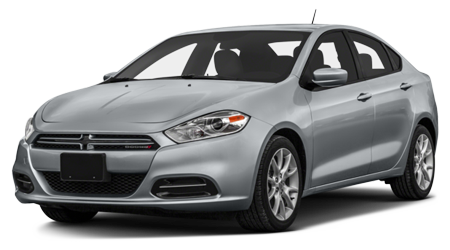 If you are in Rockwall, Commerce, Bonham, Paris, Sulphur Springs, and Tyler stop by to schedule a test drive in the 2016 Dodge Dart today. Our team of Dodge representatives will be waiting and ready to get you in the perfect version of the Dart today. We look forward to serving you!